To better understand how artificial intelligence (AI) is being adopted differently by nations around the world, we sat down with Virtusa’s Executive Vice President of Global Digital Solutions, Frank Palermo. 1. Is there much disparity between different global regions’ approaches to robotics, artificial intelligence and autonomous vehicles or, indeed, their policies on these technologies? As AI takes a more prevalent role in our society, the issue of ethics and governance has become critical, and policymakers around the globe have a collective responsibility to be forward thinking when deciding how best to regulate it. It is imperative that AI is managed in a way that allows the technology to reach its full potential, while ensuring it doesn’t have a negative impact on humans and society. The US has historically left technology companies relatively unimpeded by government oversight or stringent regulation, with the market dominance of the FAANG companies (Facebook, Apple, Amazon, Netflix and Alphabet’s Google) serving as a perfect example of this. While China has taken almost the opposite approach, with the Chinese government having a more ‘hands-on’ role, specifically mentioning AI in their ‘grand vision’ for the country, this has somehow still resulted in a similar ecosystem of tech giants, namely the BAT companies (Baidu, Alibaba and Tencent). Like America’s FAANGs, China’s BATs have established their own AI-dedicated labs, with Baidu in particular investing 15% of its revenue in R&D in AI related research. 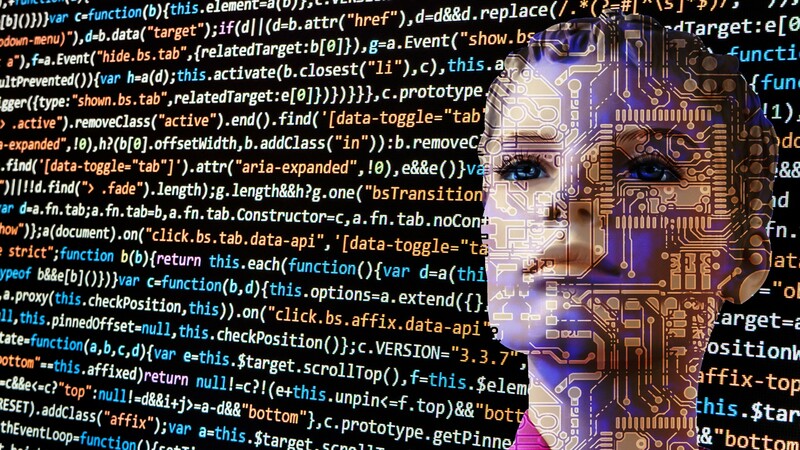 Elsewhere, Europe has a growing AI industry presence, inviting considerable attention from European regulators, though there is currently no overarching legislative approach towards AI in the region. Additionally, in the Middle East, attitudes towards AI are fairly liberal. For example, Saudi Arabia grabbed international headlines for granting citizenshipto Sophia (the AI robot) and the Prime Minister of the UAE and Ruler of Dubai launched the UAE Artificial Intelligence Strategy 2031 – aiming to enhance sectors like education, transportation, energy and space to achieve 100% reliance on AI for government services and data analysis by 2031. With the global business value derived from AI projected to total $1.2 trillion in 2018, it stands to reason that global investments in the technology continue to skyrocket. China is aggressively investing in AI, with the country’s AI startups benefitting from government support as state agencies are directing capital to these companies. One such beneficiary, facial recognition startup Megvii, received a $460 million investment from a Chinese government-backed venture capital fund. 3. What is your view on mature and emerging technologies within the AI sphere? The field of AI is rapidly maturing due to the availability of data, data storage and compute power that is now readily available through cloud and API services. The technology has moved from simple back-office automation, revolutionising the way businesses interact with their customers. Voice-enabled digital assistants are a great example of this, having quickly become a staple in the consumer and home market. Expect to see more companies adopt virtual assistants to support people in their use of technology in the workplace, with the assistants developing more human characteristics in the future, and better interpreting context and meaning. The world of robotics is also changing, with robots becoming more sophisticated, mobile, collaborative and human friendly. This improved level of maturity has caused rapid expansion of robots into industries beyond manufacturing, including healthcare, service industries and transportation. Robotics were initially focused on improving efficiency and enabling greater productivity but now, the technology is beginning to address other global concerns such as skills shortages, workplace safety, and keeping up with the accelerating pace of business. 4. What are some of the areas causing uncertainty within AI? Anything, perhaps, controversial? There are many areas of uncertainty and controversy with regard to AI, with some even proving to be deadly. There are also many questions surrounding how can we control AI from being unleashed in cyber-attacks. Last year, two data scientists from security firm ZeroFOX conducted an experiment to see who was better at getting Twitter users to click on malicious links: humans or artificial intelligence. The researchers taught an AI to study the behaviour of social network users, and then design and implement its own phishing bait. In tests, the artificial hacker was substantially better than its human competitors, composing and distributing more phishing tweets than humans, and with a substantially better conversion rate. These uses of AI and many others need to be carefully considered and regulated to protect humans and society from harm. To accomplish this, organisations must come together to discuss the proper governance and ethics mechanisms that must be implemented to minimise the risks of AI, while harnessing the full potential of this technology. 5. Finally, what will be the ultimate effect of AI? AI-powered technology such as robotics and machine learning has already improved productivity and enhanced the economies of many nations, and will continue to do so. Future advancements will certainly have an even greater effect on some classes of jobs, though it is important to bear in mind that apocalyptic predictions of robot overlords are hyperbolic, and AI will also create jobs and roles we have not yet fully envisioned. Ultimately, AI is about improving human performance and intelligence, not replacing it. AI will be the battlefield of the future, with the successful deployment of the tech influencing how countries compete, shifting the balance of power in both the global economy and international relations. Countries that master AI first will have a crucial strategic advantage in writing the rules for the next global order. That’s why investing in AI is becoming a major initiative for both emerging and well-established economies.